We are on tour in Asia. Having performed so far in INDIA, CHINA, NEPAL, MONGOLIA and SRI LANKA more shows are still coming. In May 2018 Mandragora Circus was presented in the “International Theatre Festival” of Ulaanbaatar, Mongolia, where also presented the show in the city of Edernet. Click here to watch the video! Also in May we were performing in China and Sri Lanka. Returning to the city of Shenzhen in China for the second time, we were there presenting 3 shows in the Arts Festival. In Colombo, Sri Lanka Mandragora Circus was presented during the “International Theatre Festival”. In March and April 2018 we were touring in Nepal, during 2 weeks were traveling around the country presenting 15 shows in Kathmandu, Pokhara, Biratnagar, Jorhat, Belbari, Birtamode. Click here to watch the video! 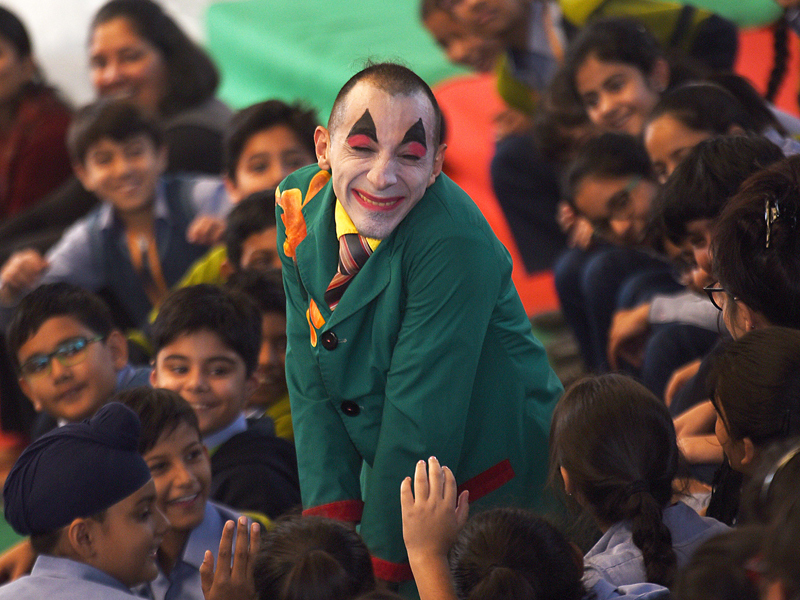 We were touring INDIA during 5 months, from north to south, from west to east, we traveled the country by train performing in 7 Theatre Festivals and different venues we did 21st shows of Mandragora Circus. Among others the shows was presented on the National Centre for the Performing Arts in Mumbai, TIFLI International Theatre Festival for Young Audiences in New Delhi, Rangashankara Theatre in Bangalore. Click on the colored provinces on the map to watch the videos of the tour in INDIA.